A 5’-8’ tall and wide fast growing shrub with crooping branches. Has small flowers of blue, violet, pink or white flowers in late spring to early summer. 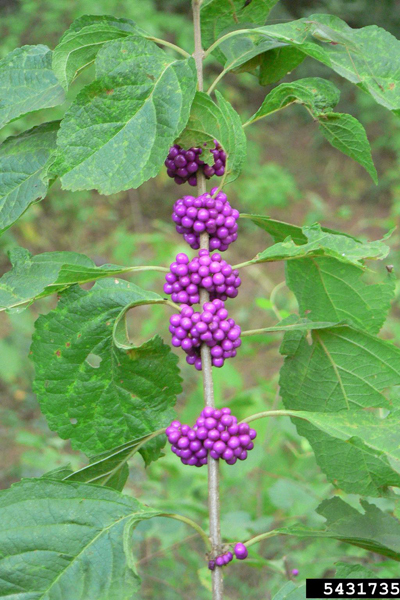 In August or September clusters of small berries encircle the stems. It has a wide pH range and is adapted to moist, loam, sandy or shallow sites. Prefers sun to partial shade.